Managing a large HOA is no small feat. Building inspections, repairs and basic upkeep can all take a lot of time. Beyond these daily tasks, it is also important for HOA managers to ensure there properties not only maintain, but also grow in their overall value. Problems arise when managers hastily complete repairs within the property. Here are the most expensive mistakes an HOA can make it comes to their community repairs. HOA managers have a lot on their plate. It is easy to ignore the small things when there are bigger fish to fry. While small things like clogged gutters and missing chimney flashing may seem just annoying, these nuisances can lead to costly, troublesome repairs. It is important to address any and all tiny nuisances before they turn into a larger problem. Few things are more important to a homeowner’s association than the structural integrity of its buildings. Water damage caused by a rusted gutter or foundation cracks stemming from a leaky rook can compromise the integrity of the community’s buildings. It is critical to always place the overall construction of the structure at the top of your to-do list. 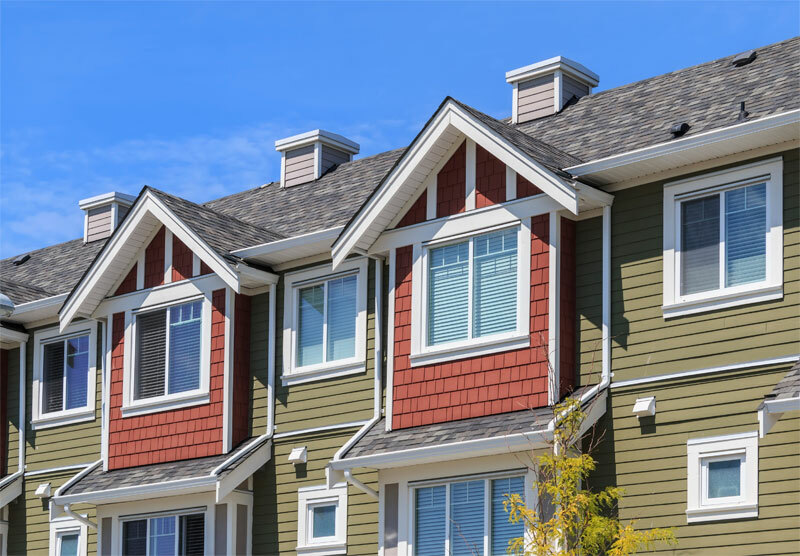 One of the biggest mistakes a HOA manager can do is be reactive rather than proactive when it comes to building maintenance. Staying current with inspections and minor repairs can go a long way in preventing those bigger, more expensive problems. Regular surveys of the entire community will help you stay ahead of any troubles that may be festering. When repairs and installation is needed, the contractor an HOA uses can make all the difference. It is always best to use only local, experienced firms to handle all your needed work. Make sure the partner you choose is not only licensed but also insured. Choosing a team with experience working with larger communities such as Custom Installations can go a long way in ensuring your HOA receives the best care. If you want to effectively manage your HOA buildings, learn more about how Custom Installations can help. We offer expert exterior installation and repair services throughout the North Shore area. Our knowledgeable crew has worked with countless large communities in and around the sprawling Chicago suburbs. Visit our website to learn more about what Custom Installations has to offer.